We’ve received several inquiries about this process, so we decided to share more on what dry mounting is and how it could be advantageous for your next printing project. Dry Mounting is the process of sticking artwork or a print to a smooth, flat, sturdy surface for presentation. This is done by applying a thin even layer of adhesive to connect the print to the surface. 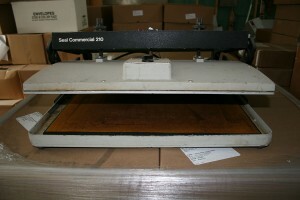 The surface can be foam board, poster board, or any other similar option. After the glue is applied and the print is placed, firm even pressure is applied across the board to ensure adhesion. Dry mounting is a great option for a nice even looking application of a print to foam board.